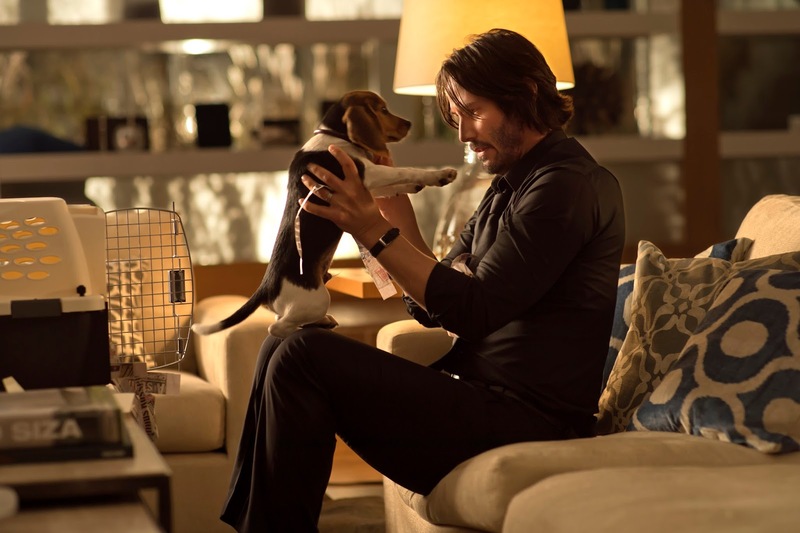 A wild action film, John Wick is an artistic but overcooked tale of revenge most violent. Professional assassin John Wick (Keanu Reeves) had quit the killing industry to settle down with his wife Helen (Bridget Moynahan). She succumbed to a terminal illness, leaving him alone but gifting him a cute dog as her farewell gesture. Russian mobster Iosef Tarasov (Alfie Allen) invades Wick's house, steals his car and kills the dog. Wick gets back into the business of assassination to seek his revenge. Unfortunately, Iosef is the son of master criminal Viggo (Michael Nyqvist), who naturally wants to protect his son from John's vengeance. Viggo issues an open contract worth $2 million to anyone who would kill Wick, attracting the attention of assassins Marcus (Willem Dafoe) and Ms. Perkins (Adrianne Palicki). Wick has to fend off the killers coming after him and fight his way through the thick layer of guards protecting the Tarasovs. Drawing inspiration from Tarantino's elaborately staged killfests and Hong Kong cinema's penchant for stylish violence, John Wick is all about the aesthetics. After a slowish start to establish the premise, director Chad Stahelski moves the action from one rowdy set-piece to the next, Wick slicing through countless and mostly faceless enemies with shootouts and headshots galore, all fast-edited into barely coherent montages. There is no doubting the kinetic and often sleek artistry on display, but there is also no doubting that too much of the same thing is boring. Once the shooting starts the plot all but stops, and for the best part of an hour the film is all about how many bad dudes Wick will have to dispose of before the credits roll. Of course Wick himself survives a ridiculous amount of damage and gaping wounds along the way, getting up every time to lick his wounds and unleash another round of mayhem, pain and bleeding be damned. Keanu Reeves cruises through the film having finally found a natural but less impressive successor role to his exploits in The Matrix. 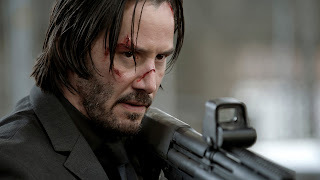 John Wick lets his guns do the talking, a perfect fit for an actor who prefers to just be rather than act. Of more interest is a sketched-in world of shadowy professional assassins, including the Continental Hotel in New York City where they all congregate on neutral territory, theoretically a kill-free zone until someone breaks the rules. Rulebroker Winston (Ian McShane) sits atop the organized order of killers, and somewhere his intriguing story waits to be told. But until then, John Wick will continue firing his guns, reloading, and firing again, heads exploding like watermelons all around him.